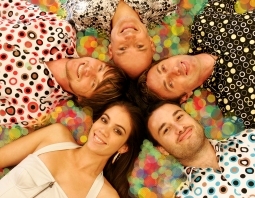 SUPERHIGHWAY is a high-impact, fun and energetic band that has everything to offer! SUPERHIGHWAY really packs a punch that out-classes the rest! Showcasing the talents of this star-studded band at the last four Fight for Life shows, McDonald’s Circus X, Cirque Rocks, Queenstown Winter Festivals and numerous corporate events throughout the year. From pre-dinner jazz to the up-lifting hits of the 70’s, 80’s and today. Although SUPERHIGHWAY are best known for their impact on the large stadium style stages with the 10-piece version of the group they realise that this luxury isn’t always available. So in order to meet the demands of their discerning audience the band employs the use of professionally created tracks which feature musicians from the larger unit giving them the flexibility to reproduce their trademark sound suitable for any venue – large or small.